Amazon is to introduce more generous revenue share terms next month for newspaper and magazine publishers selling titles in its Kindle Store. The new royalty terms, which come into force from 1 December, mean that newspaper and magazine publishers will be able to earn 70% of the retail price, net of delivery costs. Delivery costs are dependent upon customer location, how they choose to download and the file size. Previously, Amazon is believed to have taken up to 70% of the revenue itself. In order to gain the larger share, publishers must meet terms set out by Amazon. These include the title being able to be read on all Kindle devices and applications, and in all the regions where the publisher has rights. Peter Larsen, director of Kindle Periodicals, said Amazon was constantly working at improving the Kindle experience for both customers and publishers. It has also announced today the beta release of the Amazon Kindle Publishing for Periodicals tool, which aims to make it easier for publishers to add and format the titles in the Kindle Store. 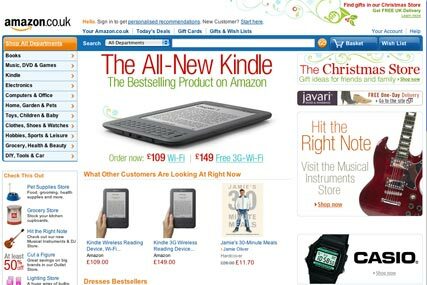 Amazon recently introduced Wi-Fi-enabled Kindles and will soon be making newspapers and magazines available on Kindle Apps. Yesterday, Amazon acquired rival ecommerce company Quidsi, which owns diapers.com, for around $540m (£334m).